Letters for 2013 "Please do not write below this line"
Letters for 2010 What about TV Detector vans? 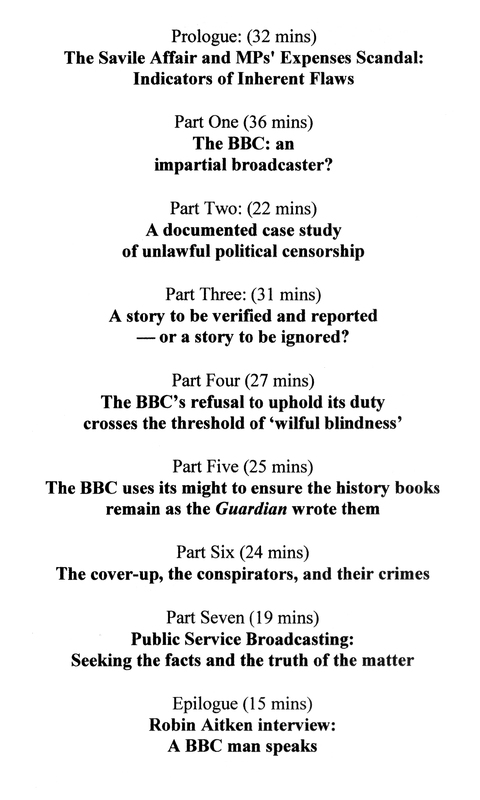 I draw attention to The Case Against The BBC, a DVD released in 2009 and updated in 2014 by journalist Jonathan Boyd Hunt. The Case Against The BBC demonstrates conclusively that the BBC neglects its duty of impartiality in reporting of news events. Its central case study is the 'Cash for Questions' affair which brought down the John Major government in 1997. The importance of 'Cash for Questions' can scarcely be overstated; it ushered in ten years of Tony Blair. 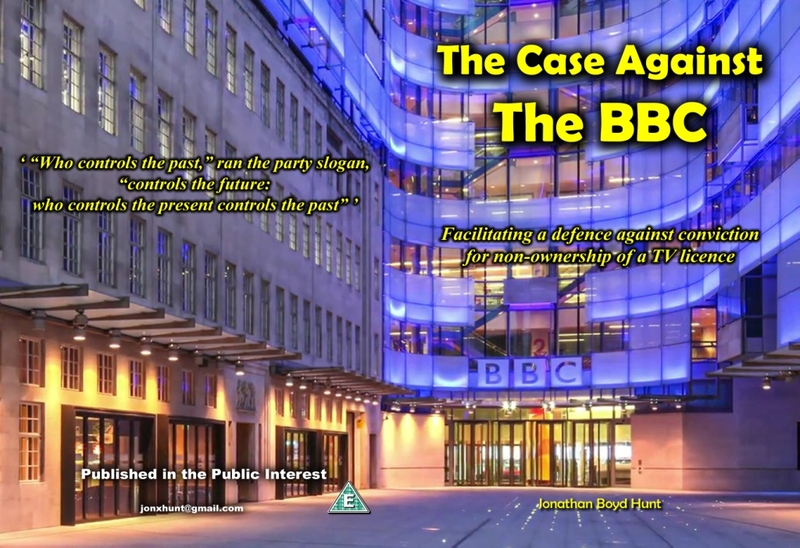 The Case Against The BBC can be purchase for £5, including postage and packing.